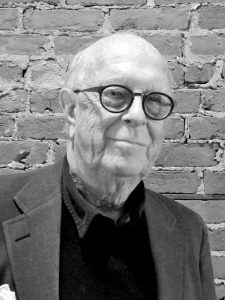 Fred is a founding partner of HHL Architects, working at the firm from 1969 to 2002. Fred received a Bachelor of Fine Arts from Trinity College, and continued with advanced studies at the University of Pennsylvania, graduating with a Master of Architecture in 1962. He became a registered architect in 1966. While at HHL Architects, Fred led the management and design of numerous projects ranging in size from $400,000 to $13,250,000, working with Federal, State and local agency ordinances and regulations. He was Principal-in-Charge on projects for The Gow School, Western New York Psychiatric Center, Albright-Knox Art Gallery, West Seneca Developmental Center, University at Buffalo, Women & Children’s Hospital of Buffalo, and the restoration of St. Paul’s Cathedral and Trinity Church, among others. In addition to his work at HHL Architects, Fred was instrumental in founding the Landmark Society of Western New York, a preservation organization with the mission to protect the unique architectural heritage of our region and promote preservation and planning practices that foster healthy, livable, and sustainable communities.